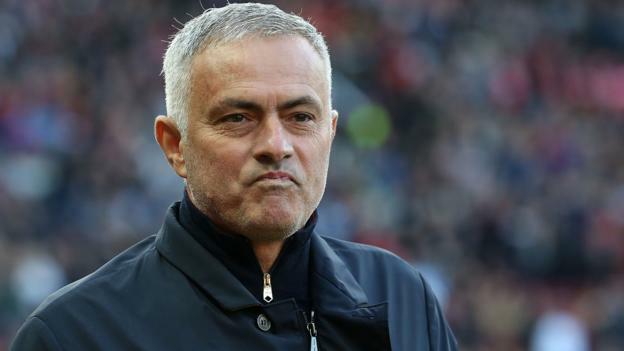 Jose Mourinho has delivered one of the all-time bizarre press conferences after Manchester United’s 3-0 loss to Tottenham. Mourinho walked out on journos chanting ‘respect’ after suffering the heaviest home defeat of his career on Tuesday morning (AEST). Harry Kane and a Lucas Moura double moved Tottenham joint top of the Premier League with 3-0 win at Old Trafford. The manager also struck a defiant tone immediately following the loss, denying his team was not out-managed despite the heavy beating. “We worked all week and from the strategic point of view we didn’t lose,” Mourinho told Sky Sports.